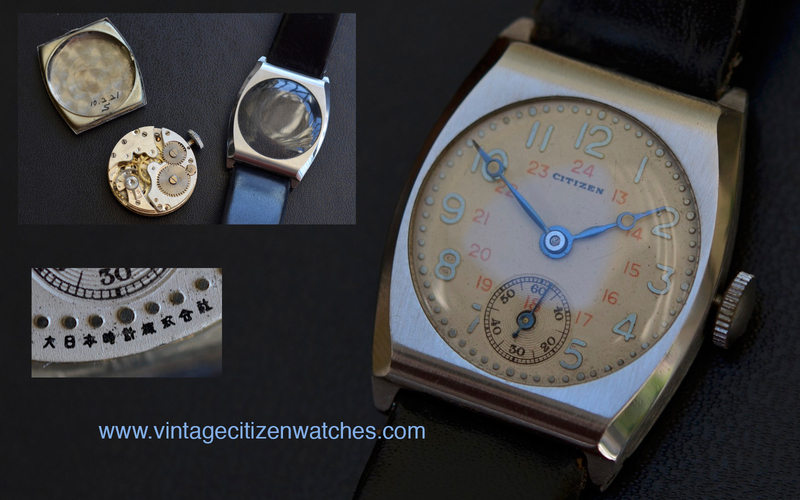 Citizen is famous for a lot of innovations and really cool watches and we can not talk about Vintage Citizen Watches without mentioning the Jet movements. What is a Jet calibre? Well… it is an in house Citizen made one, an automatic with a ring rotor unlike the common oscillating central mounted one that everybody is familiar with. Most of the people think that it is the first automatic calibre developed by our loved manufacture but it is not quite like this. In fact the first one was the Auto. But that one was soon dropped and in 1961 The Jet came to life, and what a fabulous one it was; short lived (1961 – 1967) but so beautiful. It came in a simple three hands watches, with or without a date and even a final day – date version. Today I will introduce to you the (simple, dress style, non diver) date version, the easiest to find and enjoy the wonderful movement. As you can see it came with a variety of dial colors and configurations. The crystal is acrylic and usually they are on a leather strap. Most of them are made of stainless steel, a lot are gold plated and a only few are solid gold. All of them have a Jet movement and display the time (with a central non hacking second hand) and the date. The date is non quick set but changes by moving the hour hand over midnight and back to 21 and again at midnight. Some movements had a special feature called Easy Change that allows a fast set mechanism to advance the date. Just pull the crown in and release it and the date changes one time, do it again and it changes again. Just as easy as it sounds. They run at 18,000 bph and have a power reserve of about 45h. From what I know they all have hand winding too. (only some of the diver style earlier versions I know about might come without hand winding). You can read more about the 21 J calibre HERE. It also came with 23J and the top of the range 39 J Super Jet. What else? Well… I guess it is a feeling that has to be experienced, owning such a marvel, winding it, listening to it, watching it… So, take your chance, you won’t be disappointed. If you want to read more about my favorite Jet, a diver, you can find it HERE. 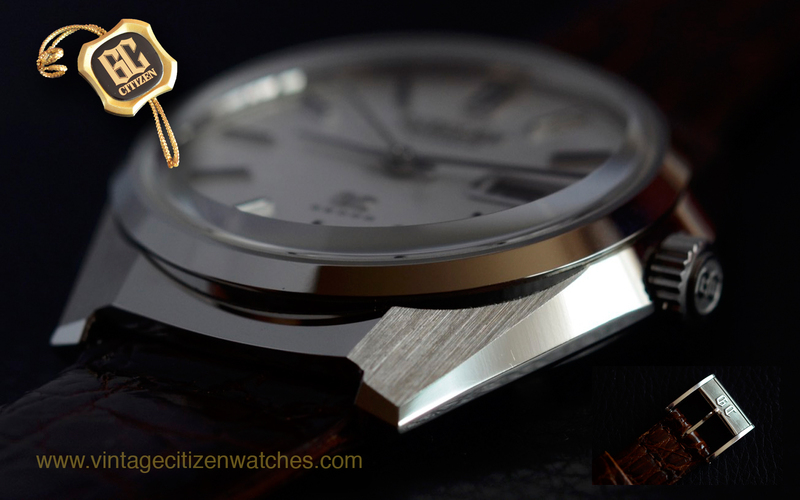 2014 March 13 – this is exactly the date when I decided to really start searching and get myself a Citizen Glorious! It took me 3 years, 5 months and 26 days to have it in my hands. During this time, after seeing literally over one million pictures and spending at least 2 hours each day looking at Citizen watches, I can say that I have seen only 4 or 5 for sale but none was good enough to actually make me pull the trigger. Fast forward to 2016 August: I finally found it. It looked NOS and had the original strap, buckle and tag! My heart raced and my hands got all sweaty while reading the description and looking at the pictures. It was really expensive and I was sure it will get even more expensive as the auction will take it’s course. Soon after discovering it, I contacted my friend Eric and told him about the watch, that I found it. I needed an inside man. Well… Eric is THE Glorious friend I have inside. (side note: not enough beer in the world to thank him enough 🙂 ) Unfortunately the seller decided to end the auction early… What a sad day! So sad… I started asking questions and even though Japanese guys are not really talkative, I managed to find out, with the help of another friend, that the watch will be relisted. I was determined to make it mine. The time has come for me to put my money where my mouth was. I knew I was fighting in the big league, with the serious Japanese collectors, but I was prepared for this day. I trained a lot. 🙂 So… in a few days, the watch was back on-line. I made up my mind regarding my highest bid that I was willing to commit to, and I added a little more. Then I added just a little bit more. 🙂 As the auction was about to end the price got higher and higher and higher… Obviously… I won! In a few long days, that felt like years, the watch was finally here! Needles to say that I checked the tracking at least twice a day. I opened the box and here it was in all it’s glory: THE GLORIOUS! So… The Glorious, reference 4-770285 Y. 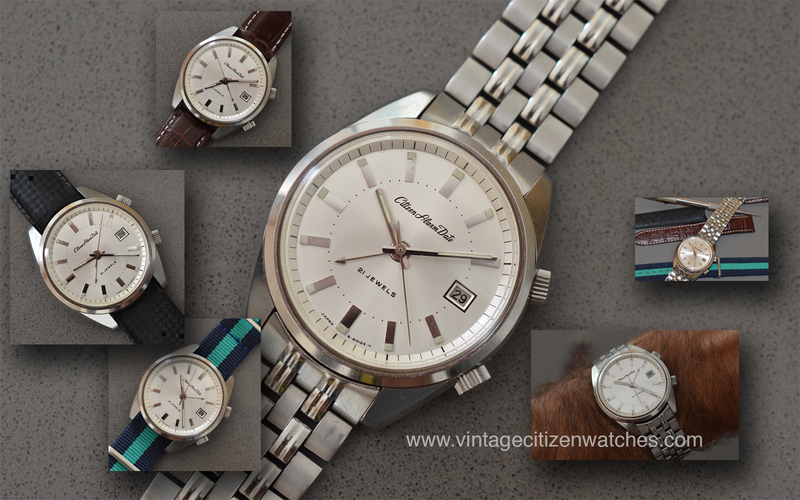 Stainless steel case with the perfect finishing. 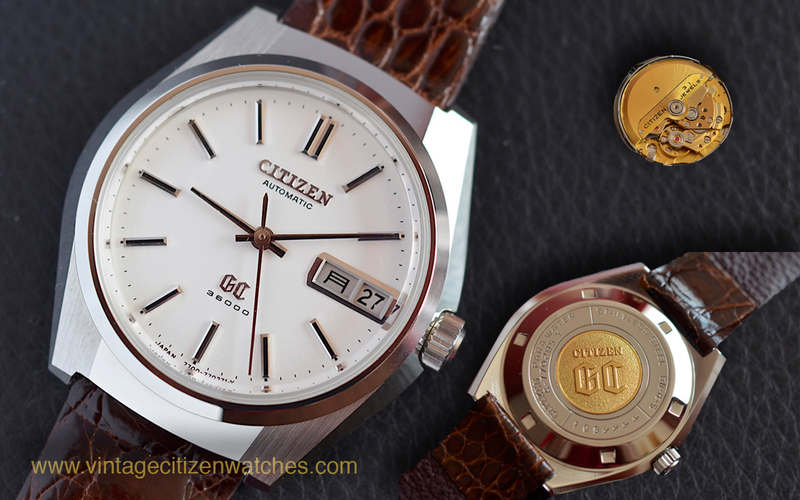 I have never seen another Citizen case polished like this. So precise, so… beautiful. Some say that Grand Seiko is the best when it comes to case polishing, but maybe, just maybe they didn’t see this. The buckle is signed with GC logo and marked stainless steel. No wonder that one buckle alone sold a few years ago with over 700 USD. The black strap was original too but I changed it with a Citizen brown one for the photo shooting because the black one was almost to fragile to handle all the fuss. It was placed for safe keeping along with the GC tag. The winding crown is SS too, with the GC logo. It is made of two parts. The outer part winds it (first position) and sets the time (second position). The inner part (the one with the logo) is used for changing the day and the date. Keep the watch vertical and press it. The date will jump. Turn the watch twelve side down and press it and the day changes alternating English and Japanese. The dial is simple, white. No luminous material, no useless writing. It doesn’t need to brag about it. 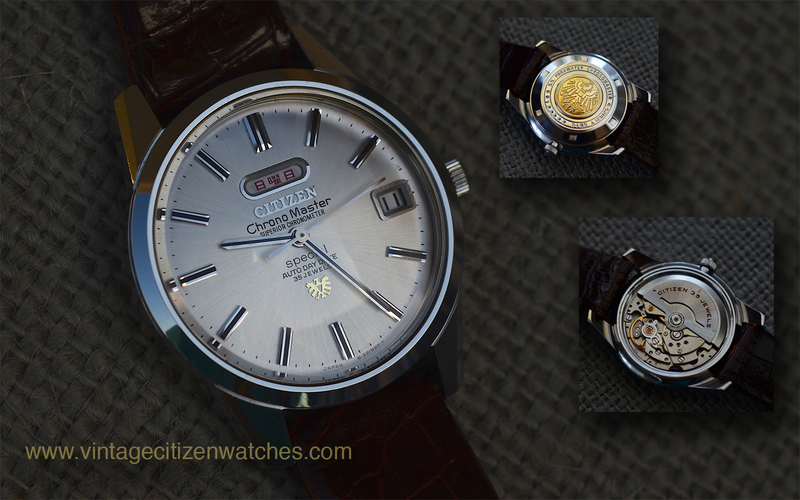 So Japanese… The applied polished Citizen and GC logo and printed in black is just enough: Automatic 36000. It is after all a high beat one, 10 per second. And it is no ordinary Leopard. It is the Glorious. In fact it is powered by in-house calibre 7750, gold plated, that has a daily rate in 5 position better than COSC of today. It was guaranteed to be at -2 +3 S/ day! Mine after all these years (made in 1971 September) seems to run at +1S/ day. 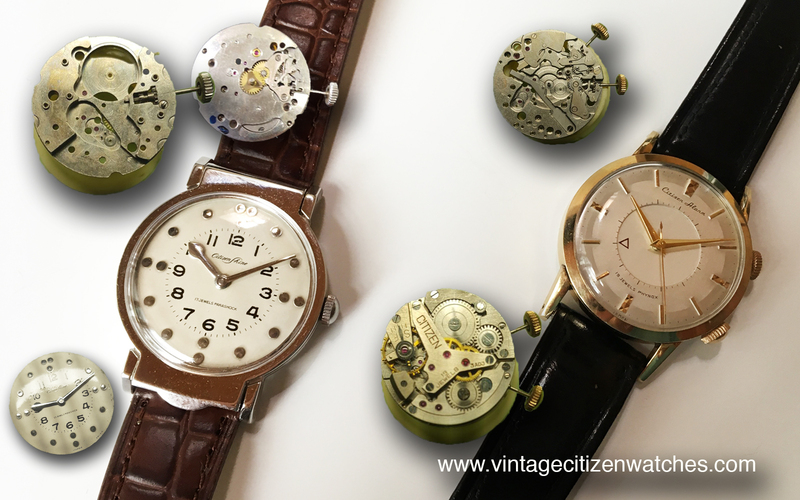 Also, in the same article written by Stephen, you can see the evolution of the best Citizen calibres, starting from the awesome hand winding Chronometer and going through the Chrono Master range with the Elite special and Superior Chronometer and then the Leopards with the Highness. Each movement is marked with a serial number, and so is the case back. 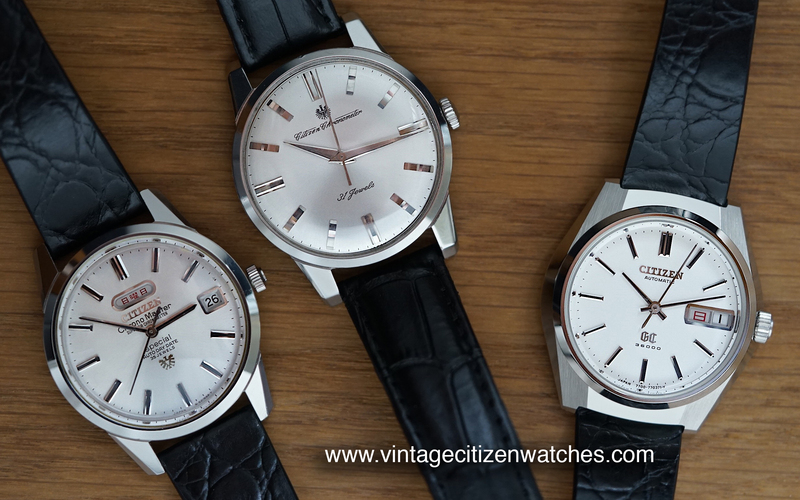 Unfortunately, Citizen doesn’t have an archive to match the two serials. Well.. the case back… beautiful again. What can I say, I love the way it looks, with the gold medallion, like the Chrono Masters. This time we don’t have an eagle inlay but a GC one. What else? I could talk a lot about it, the simple, elegant look, so understated beauty and power at the same time, so clean and perfect in every way… How can someone not love it? 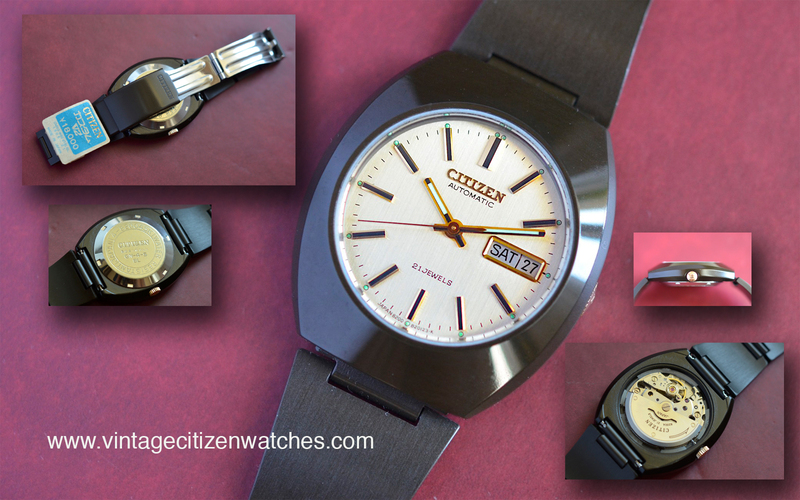 Is this the best vintage Citizen? It could be. The Glorious also came in a few other options. Here are a few pictures from the catalogue with some variants, a date only and a solid gold? (or is it Gold Filed? – EGF 100µ?) one. 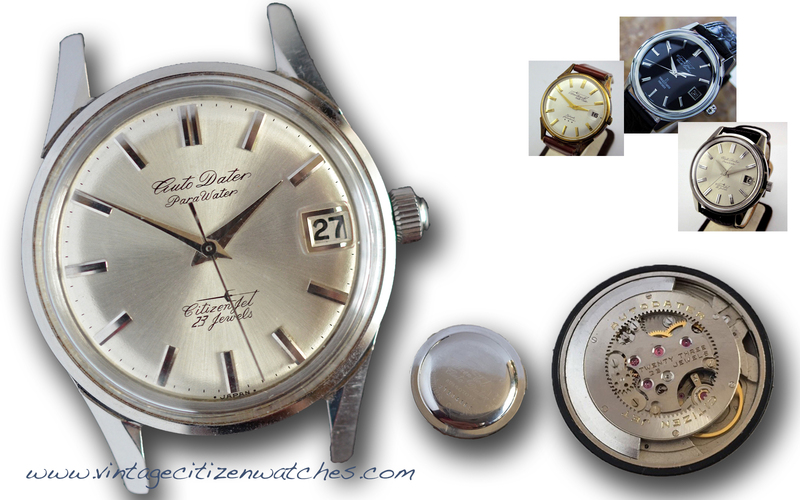 You cab see the price at the time 55 It also came in a slightly different case design and one with dark blue dial. Click the pictures to magnify them for better details. How could Citizen not focus on younger customers? Of course they did! 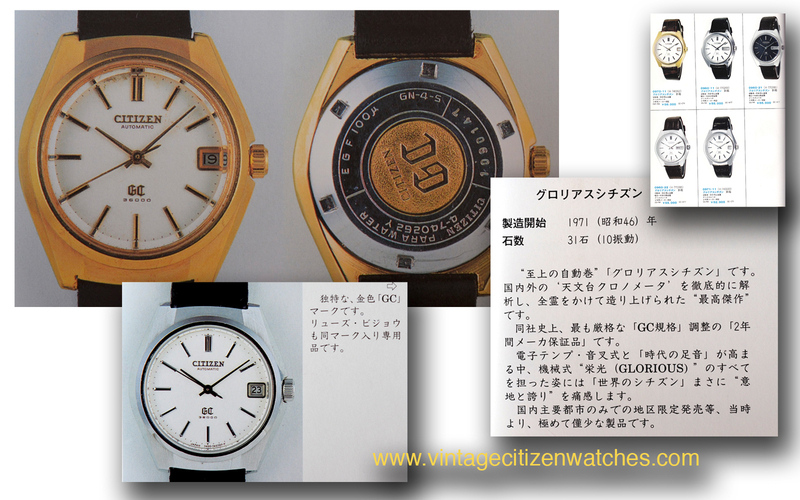 So… around 1970 the company introduced to the public the V2 line of watches. Most of them were black coated and some were even made in a wooden case. The design was fresh and fun. This one is not black coated but dark olive green coated. In fact I think it looks better this way because of the golden accents it has: the crown, the hands and the dial itself with golden hour markers. It has a simple design, with barely visible crown when looked at. The day-date window situated at 3 o clock somehow breaks the perfect symmetry. The case, as well as the entire bracelet, is made of aluminum alloy that is very light and it is dark green coated for a better protection. In fact Citizen claimed that is is even harder to scratch than steel to suit the young life stile of their target customers. You can read about this HERE. The movement is an automatic (cal. 8200A), with 21 jewels. It can be manually winded too. It displays the time as well as the date and the day of the week. Setting the time is done in the third position of the crown, winding it in the first and setting the date and the day in the second. Turning the crown one direction will set the date while the other way will change the day. Easy enough. Simple, cool looking watch that suits the purpose: tell time in a fun, fresh way. 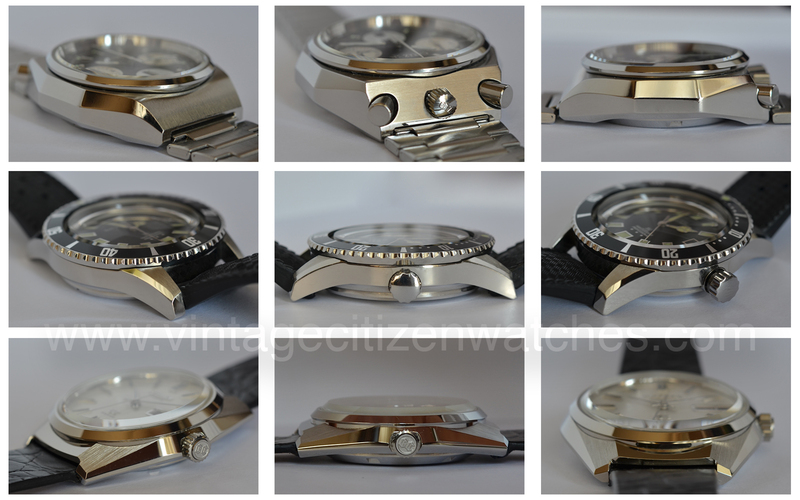 Read about another V2 Watch that I like a lot HERE. 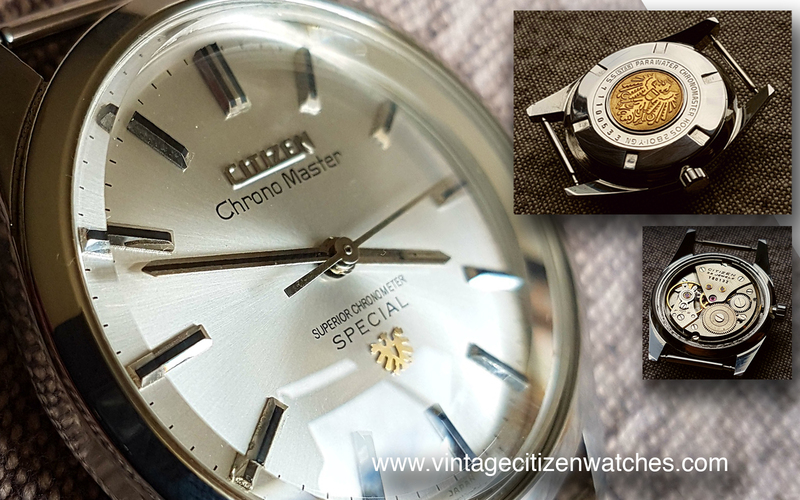 Here it is a very special watch. It is one real piece of history and I will let you know why. 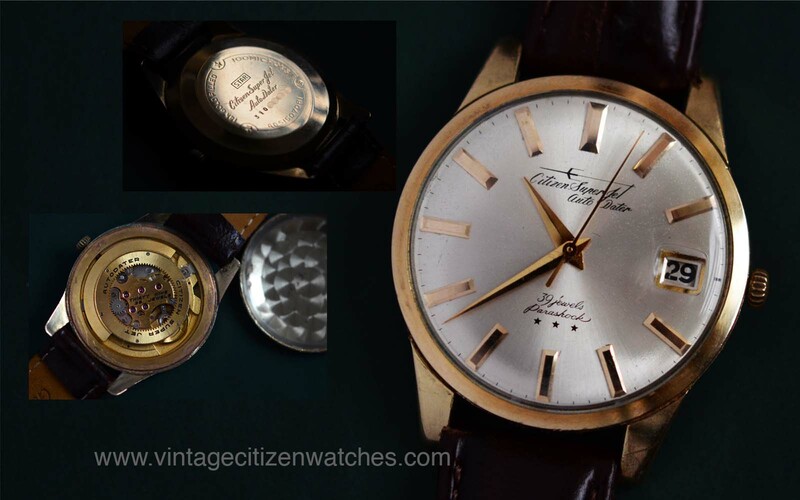 🙂 It is a small watch, one of the first wristwatches made by Citizen. It is in amazing shape for its age. You can read about a similar piece HERE. Well… now we know. Do we really need more words on this amazing piece? Maybe not, but if you have more info on this, please let me know in the comments below.